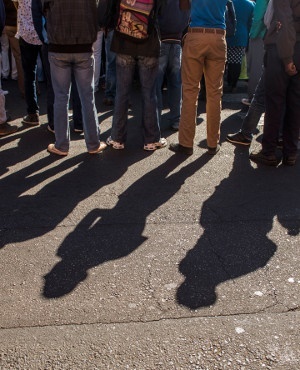 Ask anybody about unemployment in South Africa and the answer is the same – there are not enough jobs overall and there is a skills deficit for the jobs that do exist. While valid, it ignores a fundamental cause of the problem. South Africa has one of the least efficient labour markets in the world; until this is addressed, we will continue to suffer the effects of high unemployment. At any time, there are thousands of entry-level market vacancies unfilled, with employers struggling to find the right candidates. Often employers either give up on filling these openings or take months to find candidates for these positions. In a recent case, a leading security company had over 800 unfilled vacancies open for months as they could not source the right candidates. In some cases, employers will stop expansion plans or deploy technology to address labour shortages, cutting tangible, urgently needed jobs. In many instances these jobs don’t require scarce skills; there are enough job seekers with these requirements if they can be matched. If so, why are there unfilled entry-level vacancies when almost six million youth are unemployed? To add to this, according to the government approximately 796 542 candidates are writing their National Senior Certificate (NSC) exams this year, yet in 2016 only 203 078 candidates graduated from local public universities. This illustrates the significant gap between school leavers and those who obtain a university degree, which exacerbates the already dire current employment situation in our country. The answer lies in the lack of an effective centralised matching system for this segment of the labour market. The best-suited job seekers have no way to access relevant opportunities efficiently. Employers and job seekers with the necessary skillset cannot and do not find each other in a timeous and fair way. The matchmaking process is broken. Let’s understand what contributes to an efficient labour market. In white-collar (or skilled) jobs, internet job boards and traditional recruitment agencies act as the conduit between the job seeker and the employer and do a reasonable job. These two players allow for demand and supply to be met efficiently. Both parties have easy access to reliable internet, and the CV is the unique identification of the job seeker online and in traditional recruitment. Industry is willing to pay for this service as its seen as critical to business success. However, traditional recruitment methods do not address a host of issues relevant to the South African entry-level job market. Online job boards struggle to create efficiencies for two reasons. Firstly, lack of easy access to reliable internet means that many are excluded. Secondly, for those that do use these job boards, employers cannot differentiate between the prospective employees. Entry level candidates have basic qualifications and minimal or no experience, leaving the employer at a loss. Employers look for skills like a good work ethic, good communication skills, good leadership qualities, and attention to detail. Another critical aspect unique to this level of labour is timing and availability. Many entry-level employment positions have extremely short lead times (the norm is less than a week) and depending on availability, many will be excluded. Reasons range from the lack of availability of transport money to get to an interview, and candidates may have spare transport money at the beginning of the month but not at the end. Timing in the job seeker’s cycle is also important: a job seeker with a diploma in electrical engineering certificate may only be willing to take a high-paid job post-graduation. However, after sitting at home jobless for a year, he might be willing to compromise working as an electrical assistant at a lower salary and moving up with time. We are also dealing with inexperienced candidates’ expectation gaps (the gap between what a candidate expects to be paid and what is offered by the employer), so there is need to source candidates with the correct expectations. Location too, is a critical consideration in entry-level recruitment. While a white-collar candidate might not be willing to relocate his city, the relative difference within a certain range is not a deal breaker. For entry level employees with substantially lower salaries and reliance on public transport this would be a deal breaker. Although recruitment of entry-level candidates is complex and costly, industry is not likely to pay for an efficient and fair entry-level recruitment process. Firstly, recruitment costs are traditionally calculated on percentage of renumeration and employers see entry-level recruitment as a low-cost exercise thanks to the perception of an oversupply of labour and the historical assumption that entry- level candidates are cheap, easily interchangeable resources. More importantly, despite the challenges encountered, companies manage in the interim. While entry-level recruitment is far from a top business priority, thousands of job seekers are missing out on potentially life-changing opportunities. This is a top priority for society and the unemployed. Industry may be able to survive and even thrive despite the labour mismatch, however government and society’s objectives will never be achieved with the current devastating youth unemployment rates. Youth unemployment is both the symptom and the cause of a society ravaged by poverty, drugs, crime and violence. On a deeper level, there is a pervasive feeling of despair when it comes to job finding. Job seekers view this process as haphazard, unfair and dependent on who you know. Having a fair, orderly, and even exciting recruitment process is of paramount importance. It will motivate youth to seek employment, and even to further their studies. We need a new national narrative that finding jobs is possible, fair and that working hard and studying pays off. The solution is a centralised labour market exchange that will create the foundations for fair employment. Systemic change is possible where labour market efficiencies are driven and funded by government and social investors. The ideal central labour market exchange depends on a centralised tech platform with physical outlets that can cater specifically for this market. The platform must have the ability to communicate and inform job seekers about available opportunities and effectively deal with the various mismatches. If job seekers and entry-level vacancies are freely accessible, we can move towards a fair and efficient labour market. When this reaches critical mass, and vacancies are filled efficiently and fairly, the needle will tip. Lulaway has been laying the corner stones of this exchange for years. We see noteworthy results using this blue print, but sustainable change will come with critical mass of participation from employers and partners. An efficient labour market exchange will ultimately benefit industry, but it is an urgent priority for drivers of the socio-economic development in our country. This alone will not solve unemployment but will ensure that the maximum number of people are being absorbed into the labour market independent of upskilling or job creation. Investment in skills development and employment creation initiatives will have maximum returns as job seekers will be readily absorbed by an efficient labour market. Jake Willis is CEO of Lulaway.